Samsung lawyers have had their hands full with Apple as of late and it appears their workload isn’t going to lighten up anytime soon. LG Display, the second largest maker of liquid crystal displays in the world, filed a lawsuit against the Korean giant today concerning patent violation. 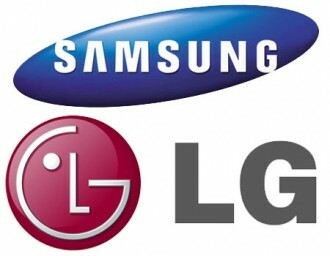 LG announced the lawsuit during a press conference in Seoul where they claim Samsung had infringed on seven patents related to organic light-emitting diode (OLED) technology. An LG official told those in attendance that they filed a damage suit to protect technologies that took an enormous amount of time / man power to develop and to promote fair competition. The lawsuit orders Samsung Electronics and Samsung Mobile Display to stop using the patents in question and pay damages for products already on the market that use the infringing patents. It’s unclear how much money LG is after but they did name five products in the suit including the Galaxy S-line of smartphones as well as the Galaxy Tab 7.7 tablet. Samsung plans to file a countersuit if necessary, claiming the lawsuit is little more than a scheme by LG to overcome their own difficulties following its “systematic leak of Samsung’s OLED technologies.” Samsung filed an injunction against LG earlier this month alleging they made 18 of their OLED patents public by offering information related to them to a third party. It looks like we could be in store for yet another long and drawn out legal battle.